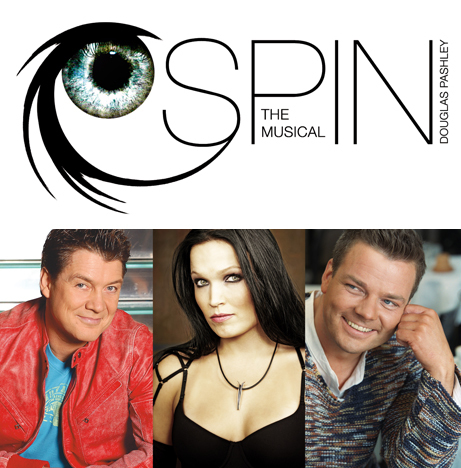 Tarja Turunen, Jari Sillanpää and Geir Rönning will perform as guest stars in SPIN- the Musical at SVENSKA TEATERN in Helsinki this Spring! Douglas Pashley (composer) and the theatre had planned to introduce guest stars in the musical since the birth of the concept SPIN. Finally, it's a reality in the form of these three great artists! The story is set in the world of music and media and works therefore working perfectly as a setting for guest stars. This is a historical production. No Finnish musical-concept has ever been exported before. The audience at the Swedish Theatre in Helsinki will now have the first chance to see the full-blown concept including the fantastic guest stars! The guest stars will perform as themselves and have chosen their own material which they perform alongside the original cast stars such as Nicke Lignell, Maria Ylipää, Eeva Vilkkumaa, Tino Singh and Jonna Järnefelt. Tarja's performances will take place next April 28th and 29th, 2006 at 7 pm.